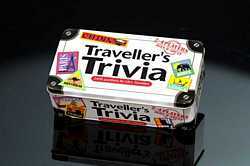 Perfect for the travel or trivia nut. Ideal as a gift or for playing whilst travelling! 2400 questions on travel and related topics.